They say the show must go on. After a freak outbreak of Norovirus meant the Wahaca Day of the Dead Fiesta was cancelled, a last minute bit of rescheduling and help from the lovely guys at Movimientos meant that the show finally could go on at Hootananny tonight. Orkesta Mendoza switched the Vaults in Waterloo for Brixton’s finest global beats venue and took to the stage with a large gathering of La Catarina faces, eager Mexicanas and world music fans filling the south London venue. Kicking off with new album track ‘Redoble’ before launching into the accordion fuelled ‘Cumbia Volcadora’ with the legendary Salvador Duran on lead vocals, a firm favourite from their latest album ¡Vamos A Guarachar!, they swelled the early audience, shaking it in fine fashion right from the off. No walls were being put up here tonight as the band effortlessly mixed up cumbia, mambo, twang rock and psychedelic pop, fashioning borderless music that spans the America’s. 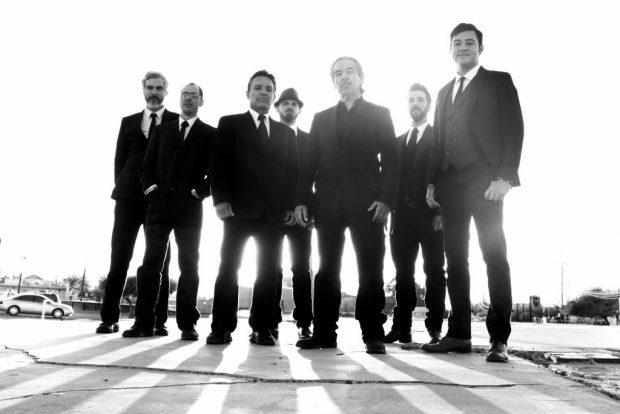 Orkesta Mendoza were at their majestic best on a tight hoots stage and the varying vocal styles and singers brought us dusty tales of life in Tucson Arizona. The audience were captivated by the myriad of directions, sounds, moods, rhythms all with big band orchestration as the band rolled out tracks from the album. You could really see that they were loving playing in such an intimate venue, and they showed their gratitude to all those who had helped make the last minute change happen with plenty of thank yous and shout outs in between songs. Also a big shout out must go out to Wahaca, who had probably put in a lot of hard work arranging for them to come over as part of their European tour to play at the last minute cancelled Day of the Dead Fiesta. 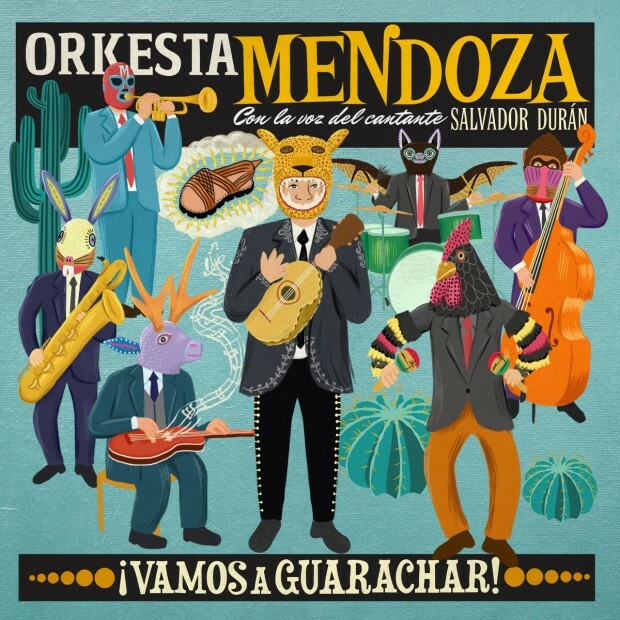 I don’t think any of those in the audience looking forward to seeing Orkesta Mendoza play tonight would have been disappointed as the sounds of the Americas desert style kept on coming with great guitar and synth fuelled tracks like ‘Caramelos’ and ‘Mapache’. Whipping the crowd into a dancing frenzy with their rendition of ‘Mambo Lupito’, the hip swivelling set drew to an end. However there was no way this audience was letting them go, with cries of “otra” “otra” ringing out. Orkesta Mendoza duly obliged and smashed into a fiery encore bringing the La Catarina’s back to life and a fitting fiesta to pay tribute to all loved ones. 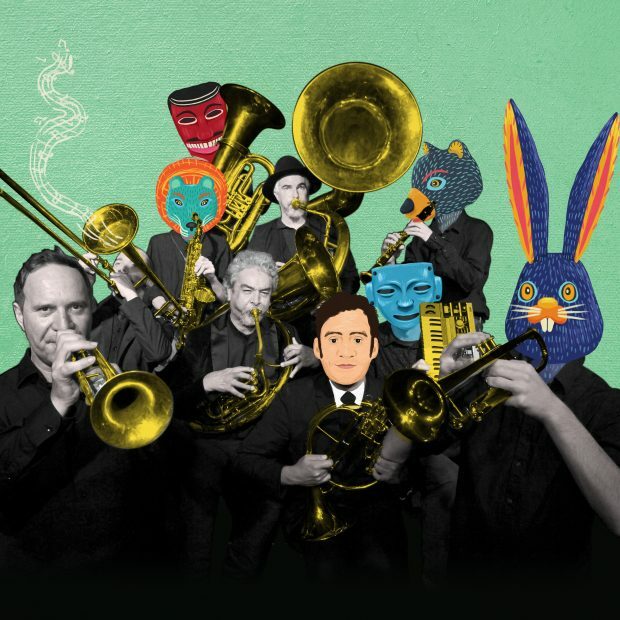 If you were unfortunate to miss out this time round, rumour has it Orkesta Mendoza will be back for La Linea festival in London in 2017, maybe for good if that wall ever goes up.